We welcome our newest sponsor!! 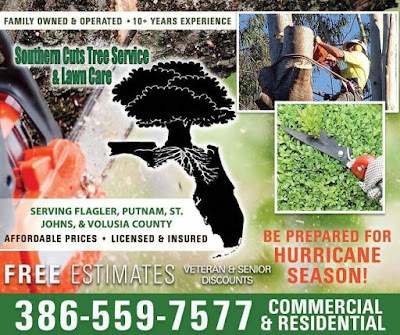 Are you looking for a trusted local family owned and operated tree and lawn service? Give Southern Cuts Tree Service & Lawn Care a call today! 386-559-7577. Over 10 years experience! Thank you for supporting the businesses and organizations that make Flagler County Family Fun possible!